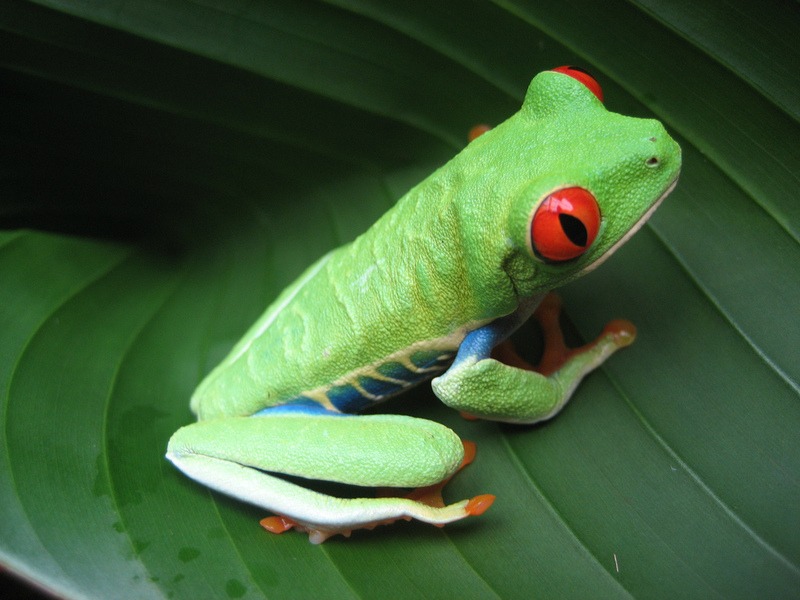 Please be sure to read Karandi’s post. The next person to do their post on this topic is Carla. *Will contain spoilers for Final Fantasy XV. Let me be the first to say Merry Christmas to all you guys! What is Christmas and why do we celebrate this holiday? if you would to ask that to someone, they might say it’s the time where people are more loving to each other and show their love by giving gifts to friends and family. For kids, this is a holiday where kids wait for Santa Clause to visit their homes and eat their cookies in return, they get presents such as toys and dolls. The majority will say that it’s the time of day where people stop being grouchy and have a moment of peace and everyone tries spread free love. In the eyes of a Christian, you will know the true meaning of Christmas. According to Christians and the Bible, we celebrate Christmas because it’s the day when our Lord and Savior Jesus was born. God sent His son to earth in the womb of a virgin so He can dwell among men and die for our sins and will resurrect himself to save us from sin. Most importantly, Christmas is an important holiday as we remember the night when Mary and Joseph stayed in the manger at Bethlehem and brought Jesus to the world. Jesus, who was God in the flesh, came to the world as a baby and grew to be a man among us to save us from eternal death. In essence, the greatest gift God gave us was His son and whoever believes in Jesus Christ and accepts his gift will be rewarded to everlasting life. It’s amazing to see Jesus came down as man and to die for us and then come back again to show His love for us. Before we get to the meat of the post, I should explain what is Final Fantasy XV. Final Fantasy XV is the fifteenth game title based on the popular franchise Final Fantasy. Final Fantasy XV was originally going to be titled as Final Fantasy Versus XIII and be a companion game in 2006. However, that game never came to see the light until 2014 when the game came back but with a new title and stand alone story called Final Fantasy XV. 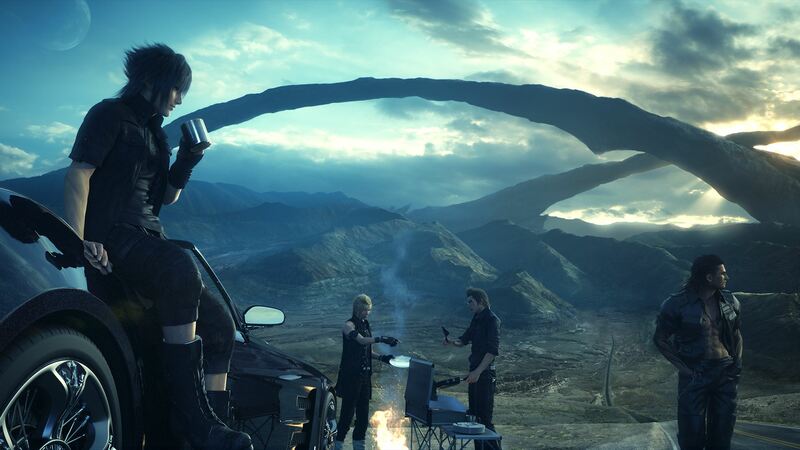 In November 29th, 2016, Final Fantasy XV was released globally for PS4 and X1. The game would later get a PC release in 2017 and the game even got a pocket version for mobile phones and even in consoles. The story takes place in a fantasy world with “modern day” elements, like guns and cell phones. The story is about a young prince named Noctis Lucis Caelum and his quest to marry his childhood friend Lunafreya under the request of his father King Regis Lucis Caelum. Noctis is the heir of the kingdom of Insomnia and it is time for him to be prepared to be the next king. However, his wedding plans are halted on his journey when he learns that the enemy kingdom Niflheim has attacked his home kingdom and even killed his father and now they are looking to kill Noctis. Noctis must team up with his friends in order to take back everything that was stolen and rid the world of darkness. His closest friends include Prompto, an average citizen of Crown City who hangs out with the prince and loves to take pictures. His chauffeur and personal assistant Ignis who helped raise Noctis and even cooks for him. His bodyguard and mentor Gladiolus who is ready for combat and to protect Noctis. Together, these four will fight anyone that attempts to block Noctis on his quest to become king. Now that you know what’s the game is about, I am about to talk about why I chose Final Fantasy XV for this month’s topic. From this point, get ready for spoilers! After everything went through his adventures such as losing his home, his father, his soon to be bride and even hurting his friends, Noctis learns that being a king is more than just sitting at a throne. What’s worse is that he learns about his purpose when he is inside the Crystal, an ancient artifact that Insomnia has been protecting from evil, and talking to the most powerful Astral Bahamut (powerful god-like beings). Inside the Crystal, Bahamut tells Noctis that the King of Kings must vanquish “The Accursed” in order to bring light to the world. “The Accursed” is the antagonist Ardyn and we later find out that he was supposed to be the true king in which he was supposed to bring peace and protect the light of the world. Unfortunately, Ardyn was rejected by the Crystal and kingdom of Lucis when he decided to use his powers to absorb the darkness to himself and control it. For allowing evil to nest in himself, Ardyn was cursed to be immortal and walk for many years unable to die and be separated from humanity. After being cursed and exiled, Ardyn vows vengeance against the Kingdom of Lucis by siding with the enemy kingdom called Niflheim. After serving as chancellor, he being the puppet master and manipulating his own ruler in order to destroy both kingdoms. Because of Ardyn’s actions from the beginning of Lucis Caelum Family, daemons (monsters that were once humans that got infected by a bacteria that fears the light) are appearing more and the night time is consuming day time. Overall, all thanks to Ardyn and his curse and actions towards Insomnia, he has brought daemons and took away the light. However, Bahamut tells Noctis that there is a way to bring back the light of the world and end the life of the immortal villain: The True King of Lucis must sacrifice himself in order to end the darkness. Who would of thought that Noctis started off as a young prince who would rather sleep through than accept responsibilities and then become Eos only hope to saving humanity and dying in the process. After talking to Bahamut and leaving the Crystal, Noctis wakes up ten years older and sees that the world has lost day time and the day is gone and overtaken by the night. Fortunately, Noctis is reunited with his friends, Prompto, Ignis and Gladiolus and these group come together and take back the night. As Noctis and his friends arrive back home to Crown City, they come across Ardyn and Noctis fights him alone. Noctis was able to defeat Ardyn, but it was not over. With the help of his royal ancestors and the power of the crystal, Noctis sacrifices his life and destroys Ardyn’s spirit which destroyed his immortality and the starscourge (a plague that corrupts people into monster and brings in the night). By the end of the story, Noctis sacrifices his life to save the world and bring back the light of the world. 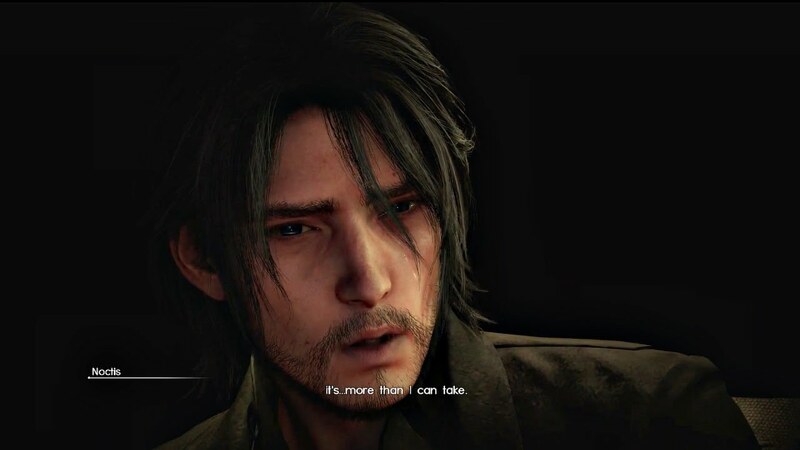 Noctis: Serving miracles like Jesus? This is something I kind of wanted to do in a different posts, but for now, I am going to be brief and expand on this in a future project. The reason why I chose Final Fantasy XV for my topic is because I saw Noctis as a miracle just like how Jesus Christ is a miracle to us. Here is some upcoming Biblical facts for you guys. If you know anything about the Bible, you would know about Jesus Christ and everything He has done for us. He turned water into wine, He healed the sick and maimed, and He even raised the dead and made them alive. He did all this because He loved us and He wanted to show the power of God and show that if you believe in God, you will surely be saved from pain and suffering. However, Jesus came down as a man for one goal: to die and take our sins. Even though Jesus was God in the flesh and He could do anything, He chose to die for us. By putting himself on that cross, he took the sins from all of us and accepted death. That didn’t last however! After three days, the once dead Jesus was awaken and left His tomb and appeared to His disciples and family that it was all according to the plan. Because of His death and His resurrection, He defeated sin and made it possible for sinners like us to get a second chance in life so we get to go to Heaven. Without Jesus, we are doomed to Hell. Because of His love and sacrifice, we can live forever in Heaven and obtain eternal peace. He may not be like Jesus in essence, but Noctis in Final Fantasy XV almost plays a role like Him. Noctis started off as a young man who thinks he is ready to take on the role of his father’s footsteps. He thinks he is ready to take on life’s challenges. However, has he gets close to his goal, he goes through harsh trials. He loses his home kingdom and father, his childhood friend and soon to be bride was died saving him, and even his friend Ignis lost his vision in order to protect him. What’s worse is that he later comes to the realization that being the true king is more costly than riches. Being the true king means he has to be willing to die for everything he cares about. When you research the lore of FFXV, you kind of see the Biblical symbolism in this game especially when looking into Ardyn, the game’s antagonist. Ardyn was supposed to be the true king and bring peace to the world. He used his powers to heal people and absorb the evil dark energy from the Starscourge into him, but that resulted him to be rejected by the Crystal and his entire Lucis Caelum bloodline. His punishment was that he became immortal and then wiped out from in historical texts. Looking at Ardyn, Ardyn could be seen as Adam from the book of Genesis. Adam was supposed to be the perfect man made by God and Adam was supposed to be sinless. However, after he disobeyed God by eating the forbidden fruit, he introduced sin to the world and gave every human a curse. That is why you see corruption and evil in the world. Fast forward to the New Testament, God sent His Son Jesus to fix what Adam did in the garden and took the sins from us to save us. Jesus was ready to die for us and thanks to Him, we can have strong faith that we no longer have to worry about death and we can rejoice in it. Talk about a Christmas sermon am I right? Anyway, what I am trying to say that regardless if you like Noctis or not, he was ready to take his role as king serious for the sake of saving everyone that was willing to protect him. He may not be God, but he his life served a purpose and the trials is something not one can carry on his back. Almost like Jesus, his life was the price to ending the darkness and saving lives. He also had his friends who was willing to go through the trials and help him back to his throne. He was able to slay down an immortal enemy that brought pain to the world. Likewise, Jesus came to us so He can heal people who needed God and repent from evil. As we celebrate Christmas, it’s important to know why we celebrate it. It’s not about presents, it’s about God’s greatest gift by sending His son to us so that we can know God and see His miracles. 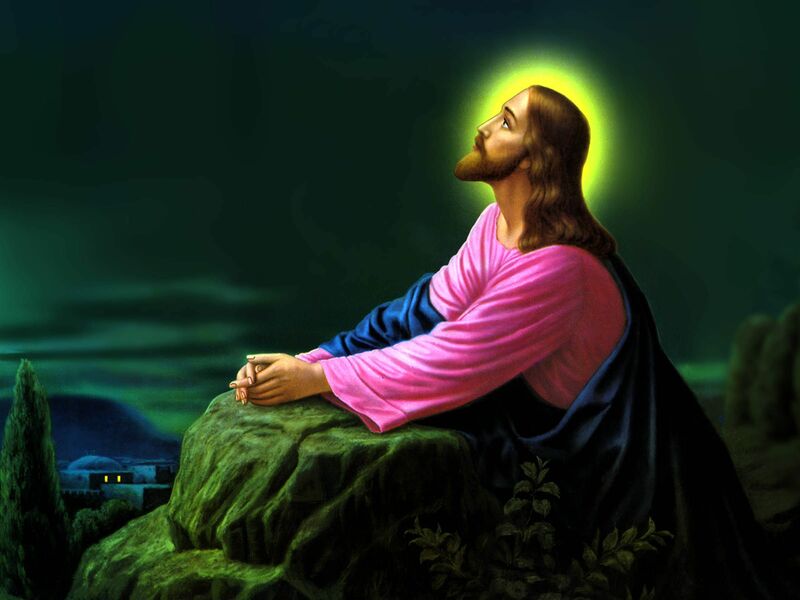 The next time Jesus is coming back, He is going to save us from this earth and take us back to His kingdom. I thank God for Jesus because I don’t have to worry about death or feeling alone. I accept Jesus as my savior. I am not the perfect Christian and I do sin. I have done things that I am not proud of and even I think I should have died on the cross. But, God wanted us to come to Heaven and He sent His son and Jesus took my place on that cross. A sacrifice like that is something I am grateful. I thank Jesus for everything. I thank Him for protecting my family and healing wounds. Sorry if this post is filled with Christianity lol. Anyway, that’s my post for this topic. Merry Christmas and God bless you all! Thank you. I want to talk more about this in a project I want to do expanding this.